The CYO is proud to continue the Monsignor Toomey Fund/Scholarship. This fund honors the memory of the late Monsignor Leonard R. Toomey, the founder of the CYO here in Mercer County. It was established in large part through the generosity of a bequest from Monsignor Toomey. Since opening in 1952, the CYO was always near and dear to his heart. The goal of the Monsignor Toomey Fund is to provide yearly financial support through scholarships for the Yardville CYO Camp to children who would not have been able to attend camp without the financial support. This goal is consistent with Monsignor’s wishes. Any family interested in applying for a Camp scholarship for this Summer can obtain a form by calling Patrick Hardiman at (609) 585-4280 x 102 or via e-mail at phardiman@cyomercer.org or download an application form below. The application deadline is April 13th. 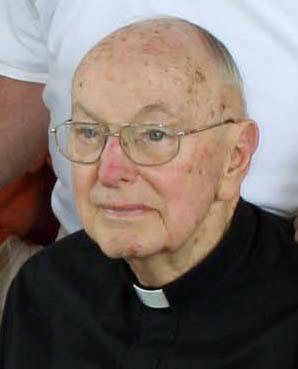 If any individual, business, or organization wishes to honor the memory of Monsignor Toomey they are encouraged to make a donation payable to the “CYO” and specify “Monsignor Toomey Fund.” Donations may be sent to: Mercer County CYO, 920 South Broad St., Trenton, NJ 08611, Attention: Tom Mladenetz. Also, you may donate directly on the CYO website. For further information please call the CYO office at (609) 396-8383 x 15. The CYO is forever grateful to Monsignor Toomey for all he did and the establishment of this fund is a beautiful way to keep his memory alive. To download the Special Edition Marquee and review the document click here.